I was drawn to Cancer Treatment Centers of America® (CTCA) because of its distinctive approach to patient-focused care. At CTCA® I have the opportunity to truly get to know my patients to determine the optimal treatment plan unique to them and their cancer. 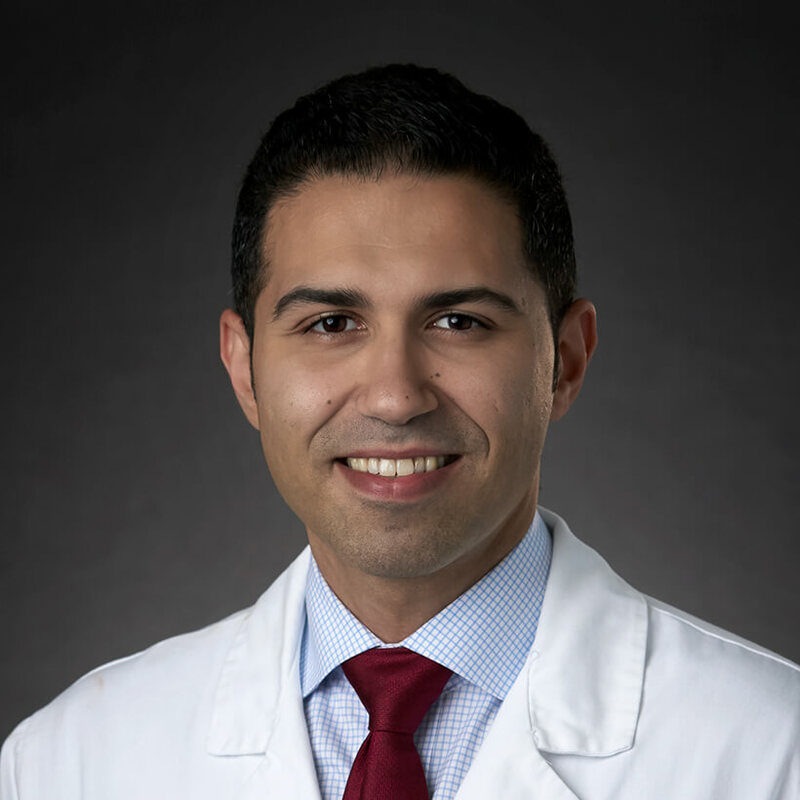 Dr. Hani Halabi, a board-certified radiation oncologist, provides leading-edge radiation treatment to patients fighting cancer at Cancer Treatment Centers of America® (CTCA), Atlanta. Dr. Halabi provides personalized care, advanced treatment options and he empowers his patients to help make educated decisions about their treatment. Dr. Halabi completed his Bachelor of Science and Master of Science degrees at McGill University in Quebec, Canada. Dr. Halabi completed his medical training with the rigorous and selective program at McGill University in Quebec, Canada. After completing his Doctor of Medicine degree there, he stayed to complete a residency in Radiation Oncology. Dr. Halabi then completed a fellowship at the Massachusetts General Hospital, a Harvard Medical School affiliated hospital in Boston. Prior to coming to CTCA, Dr. Halabi was a Radiation Oncologist and Assistant Professor of Oncology at the McGill University Health Center in Montreal, Canada. Dr. Halabi has authored and served as principal investigator for several research protocols. He has also authored book chapters, peer reviewed publications and abstracts presented at professional scientific meetings. He is a member of several organizations including the American Society of Therapeutic Radiation and Oncology. Outside of CTCA, Dr. Halabi enjoys spending time with his wife and daughter. In his free time he might be found watching and even playing all types of sport including soccer, tennis and football. Dr. Halabi likes to travel, explore new destinations and cook. "he kept getting interrupted during our meeting - not his fault apparently the other Dr was out, but we kept having to stop for him to dealing issues -- 4x"
"He went over every thing that we asked. He explained so we would know what to expect." "She was very caring and explained everything very well." "Dr. Halabi is AWESOME. Explains why you need Radiation and what to expect, he is confident and has high standards." "Great guy, very concerned with my well being." "Dr Halabi and his staff were fabulous. Dr. Halabi explained everything to me and what to expect, was very honest and upfront which is what I asked for. He and his staff were very caring and compassionate in their care and went above and beyond to care for me throughout my course of treatment." "There are several people that I've recommended that are now patients. My main goal is to let everyone know that they're in the hands of knowledgeable, caring doctors here at CTCA." "He was very understanding and explain everything with confidence." "He explained everything in different ways to which I could understand exactly what is going on." "knows what's best for you"
"I hold him in the highest regard. he is amazing. Explains findings well, treatment course well, and is amazingly respectful." "Considerate and kind. Saw us early and kept it professional, but brief, as we had a long trip home that day." "Dr Halibi is top notch. I feel very confident in his ability to manage my care proficiently"
"We really like Dr. Halabi. He explained everything well and seemed genuinely concern about my brother's health and achieving a good outcome for him." "Very thorough in his explanation of treatments in different areas." "Simply amazing. Very upbeat and positive"